Vintage Inspired. Craftsmen Built. Caravans. That dusty desert road or forgotten forest trail might just take you exactly where you want to be. Our sense of adventure is sparked by those undiscovered small mysteries that are out there – somewhere. The joy of the journey has been our inspiration all along. Even a spontaneous night campout can create a sense of connection with what really matters. This is why we make hand built off-road capable teardrop trailers – As beautiful as they are rugged – our caravans can go anywhere that your overlanding adventure takes you. Our caravans are a symbol of simplicity and sanctuary. With a minimalist spirit and the romantic notion of a simpler time, our teardrop trailers are a retreat from the clutter of our modern life. Just a quick getaway, an evening outdoors with friends, camping under a starry sky, being in nature with no distraction… this is how to find freedom. We pride ourselves in designing and building collector quality handmade camping trailers. Our caravans are not mass produced but carefully hand crafted and every detail has been given individual attention. 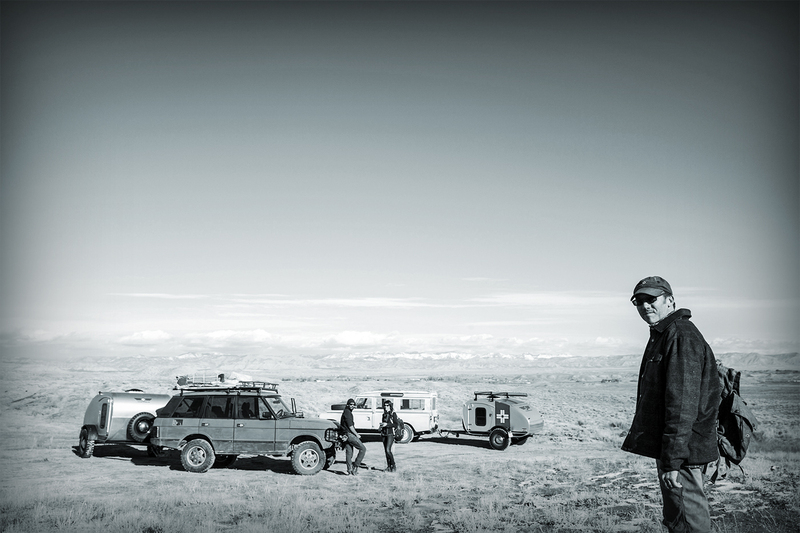 Our adventure caravans are unlike any other camper made – Vintage Overland has been recognized as an industry leader in design. Create a one-of-a-kind experience and begin your own camping tradition. The small aluminum shell offers an affirmation of what we’ve known as long as we’ve gone out adventuring in our vehicles. Britton Purser wanted a sweet little camping trailer to carry him into the wild. So he built one. And he’ll build one for you.